Novus Papilio: The Music Tag of....Musical-ness. Yay! 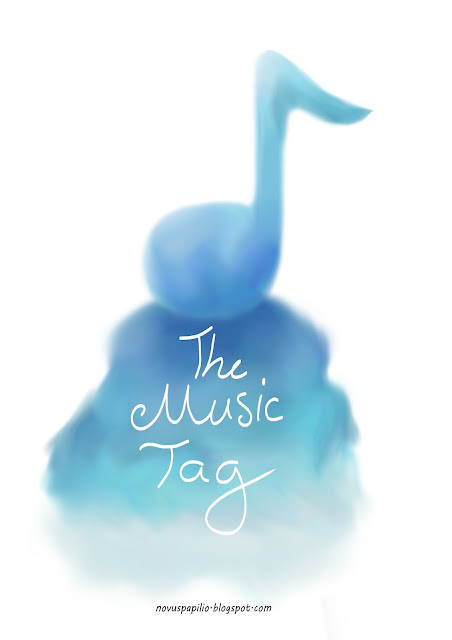 The Music Tag of....Musical-ness. Yay! Okay, now that's over and done with, let's get on with the actual post! 4. Add you own question to the tag for your nominees to answer. 5. Include the rules in your post. Thanks Clare for tagging me! Yup! I can play the clarinet, violin (still learning that one though, but it doesn't sound like cats dying anymore thankfully) and sort of piano... Meaning I can only play one song (both parts)... Yah. Uhhhhm... To be honest, I don't really know? I think the music I listen to mostly has a jazzy/pop feel to it. I also like sound tracks and musicals...Especially stuff like 'Les Mis' and 'Phantom of the Opera'. I can't really pin down an absolute favourite. Is there a music genre you absolutely cannot stand? Rap music. Okay- in some songs I don't mind it, but only because there's just a tiny amount and when it does come on, I just stop singing. No big deal, I know the best part of the song is just around the corner... I can wait. MP3. Definitely. CD's aren't too bad though I guess... until they get broken. What/who are your three favourite bands/singers? Oooh, tough one! All time favourite or just the ones that are my current favourites? Also: Do they have to be in a band and/or a singer? ...In order to be able to answer this question I'll just guess 'no' to the last one. No. 3 - Britt Nicole. Do you have a funny story to do with playing music or band, if so please share it? So this happened at a town band practice... We had stopped in the middle of a song (I can't remember which one, sadly) because no one was really paying attention to the dynamics of the song. The band conductor asks if any one could hear the flutes and clarinets, since we had the melody. An elderly man grumbles behind me: I couldn't hear any of them! Fellow clarinet player whips around in her seat: *jokingly* That's because you're deaf! Elderly man leans forward slightly: What? She then grins and elbows me in triumph. Your Random Musical Question Of Awesomeness: How good are you at sight-reading music?